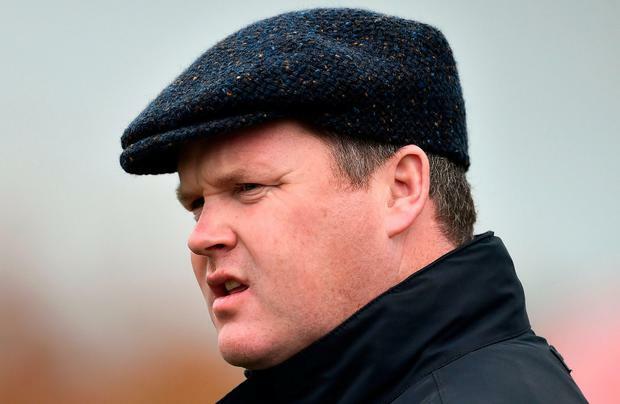 Triple Aintree Grand National-winning trainer Gordon Elliott will give evidence in the High Court today as a witness in a case arising from the seizure of one of his stable's former stars by the Criminal Assets Bureau (CAB). The CAB is claiming that Labaik, the winner of the Supreme Novices Hurdle at the Cheltenham festival in March 2017, was bought with the proceeds of crime by convicted drug dealer John Boylan. This is contested by Boylan, aka John Power, from Rathcoole, Co Dublin. The court heard last week that Mr Elliott and bloodstock agent Aidan O'Ryan, neither of whom has any connections with criminality, each took a 5pc interest in the horse when it was purchased. The court was also told Boylan had 67 criminal convictions, including two for drugs offences. Boylan (32) has brought his own proceedings against the CAB, claiming losses arising out of the injury sustained by Labaik when it ran at the Punchestown Festival the following month. Mr Elliott, who at the weekend trained Tiger Roll to back-to-back successes in the Grand National, is expected to be questioned about the decision to run Labaik twice at Punchestown. The horse ran initially on April 25 when it refused to start and finished up tailed off. It ran again two days later when it sustained an injury. In an affidavit to the court, Detective Garda Lisa McHugh said the owners had been planning to sell Labaik in Aintree on April 6, 2017 and had hoped to net up to €400,000. But realistically Labaik might have been sold for around €150,000, she said. However, the CAB seized the horse's passport from Mr Elliott and, as a result, the horse could not travel to Aintree. On April 21, Mr Elliott asked for the return of the passport to allow Labaik to run at Punchestown the following week. Asked by lawyers for Boylan why the CAB had allowed an asset, which it had seized, to run at Punchestown, knowing there was a risk to its value if it was injured, Det Gda McHugh said: "It's a racehorse. We were letting it race, isn't that what it's supposed to do."